Now that we've learned which 4 things lead to potty time, in this session we're going to learn how to potty your baby. Your Intuition (covered in Episode 14). Once one of these 4 things occurs, you then get to potty your baby. You'll remember from our vocab session that, if we potty successfully, it's called a "catch." The other potty situations could result in a "miss," where the back-up is wet or soiled already and there is no more inside baby to let out, or a "mis-guess," where we find out that baby didn't have to go after all. These possible outcomes make sense. But how to potty, exactly? 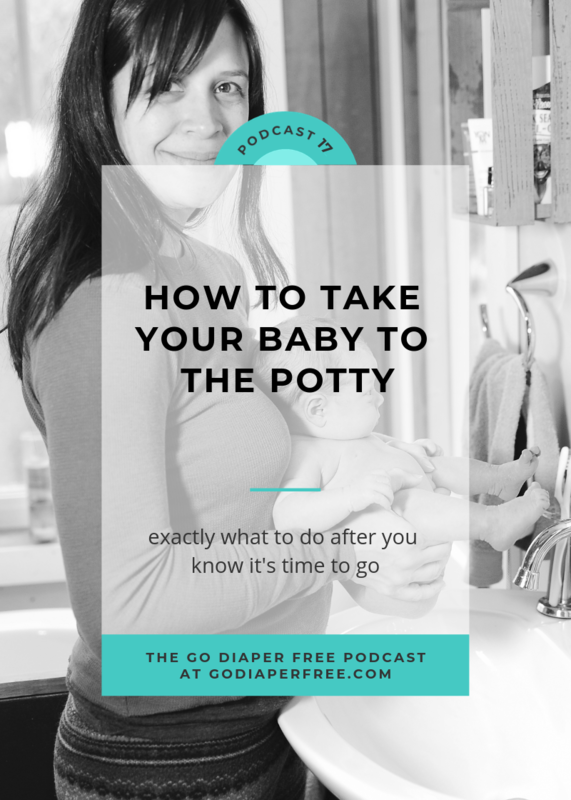 Listen to this session to find out how to potty your baby, whether you have a newborn baby, a mobile baby, or a young toddler. In less than 12 minutes you'll hear the general overview of this relatively simple process. 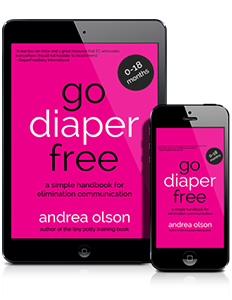 Help others hear about Elimination Communication for the first time! Please leave a review here...it makes a big difference. Do you have any tricks for how to potty your baby? Anything you'd like to add, please type below in the comments.